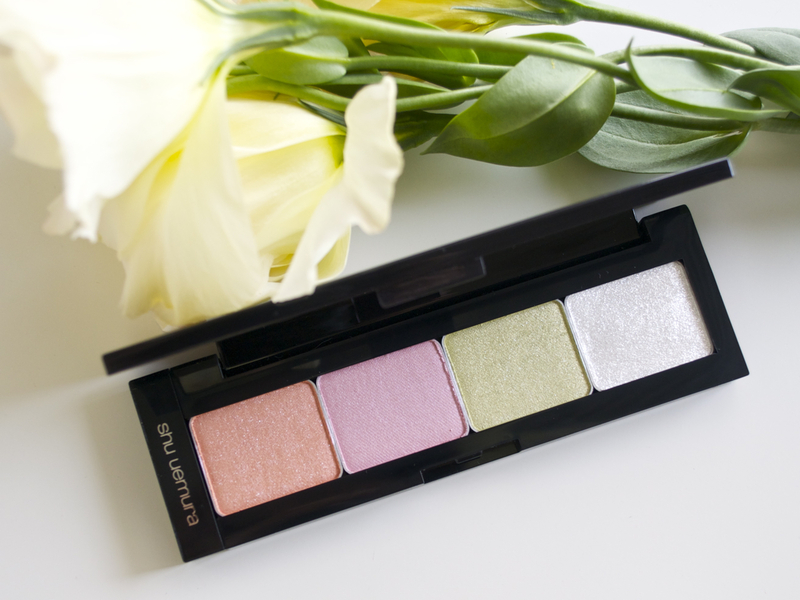 With my recent Spring kick came an insatiable thirst for pastel eyeshadows. I did end up with a few Dior pastel quads and palettes, however I still wanted a Spring palette that I could call entirely mine; colours selected by me, in shades and finishes that flatter ME! 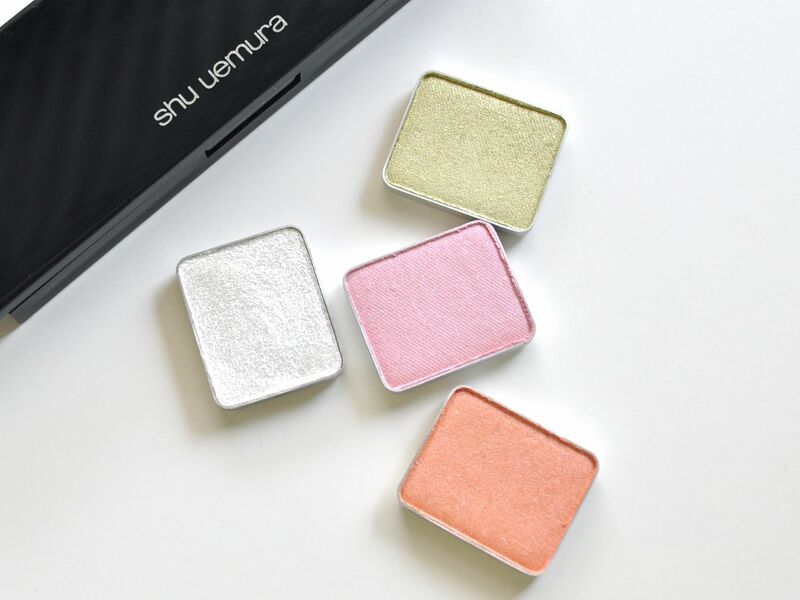 What I love about the Shu Uemura eyeshadows is that they have such a large variety of colours ranging from the lightest pastels to the most shocking neon orange you could ever find! Basically Shu Uemura is all about colour, bold, unapologetic colour. The hardest part is usually deciding which 4 colours would come home with you. I picked two pearl shades, one metallic and one glitter. P121- A soft peach, which was a shimmery pearl finish. Silky and blended so easily. P 140 – A pastel pink, yet another pearl shadow. This was a cool pink. ME 433- A soft pastel shimmery green. It was the first colour I picked. This colour compliments olive skin tones so well, and if you are of that colouring, I highly recommend getting this one! From the three coloured shades, this one felt the smoothest. I love to pair this with orange or peach for a fresh Spring look. G W-SV 909- A sparkling silvery white. This was one of the smoothest glitter eyeshadows I had ever encountered; One swipe pulled in a lot of product and it went on buttery smooth! I highly recommend this shade as well. P.S- For those of you who are lusting over the Tom Ford glitters, but can’t justify the price tag, these are a good alternative! The good thing about these is that you can never be unsatisfied with your palette, as they are all hand picked by you! Each single eyeshadow contains 1.4g of product and retails at SGD 22. I purchased mine at Tangs beauty boutique. P.S- The cases are available separately and they come in a choice of monos, duos and quads. The quad palette also could accommodate blushes. So if any of those catch your eye, you could go for a blush and two eyeshadows as opposed to just 4 eyeshadows. The NARSissist eyeshadow palette (LE) review, photos and swatches. Haha you say that to all girls I bet 🙂 But thank you so much for the sweet comment! The colors are SO MICHELLE!! Dainty, girly and a bit flirty 😉 LOL!! Beautiful shades, babe! 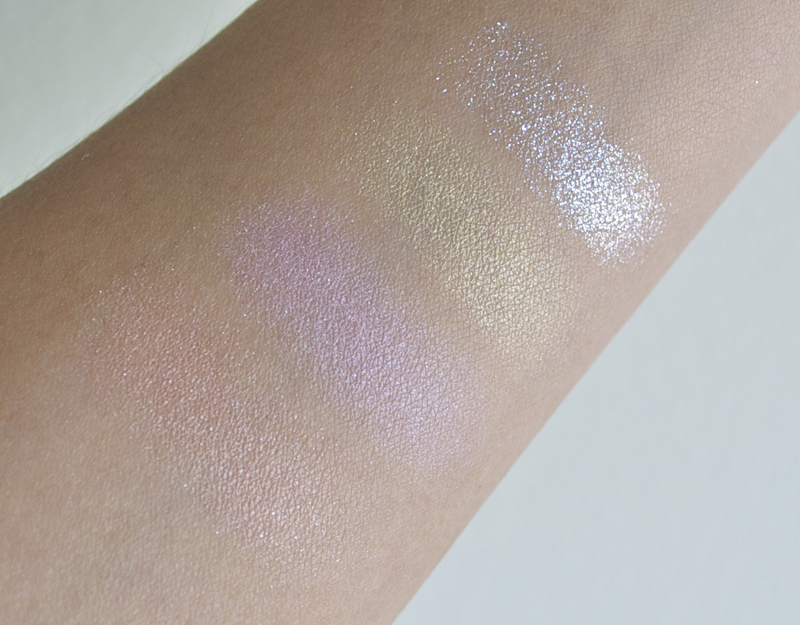 And I absolutely love Shu Uemura shadows, swatched them instore and found them buttery goooood! Cant wait to make my own palette… soon! yes i love Shu shadows too! So creamy and they last all day! really?! I had no problems with the 6HP palette…. but i always wear a primer anyway cos of oily lids! And hope you manage to pick one up so I can drool! These are so you!!! Love ’em! I know! haha 😀 They instantly brighten up my mood! Can’t wait to get more of these.. specially the ME and P textures go on sooo well! P.S- what are your favorite colours? I know! Such Springlike shades! ❤ Adore it!